It is that time of the week again to start looking forward to the next episode and if you favor the Jerry conspiracy episodes, this one looks like it will be one of your favorites. It seems as if the team will be challenging the powers that be again as they try to reveal a cover up revolving the JFK assassination. Whether they do or not, it is sure to be interesting and comical watching them try. Here is the promo, screencaps, and info below and we will add the sneak peeks as they are released during the week. “’Elua l? 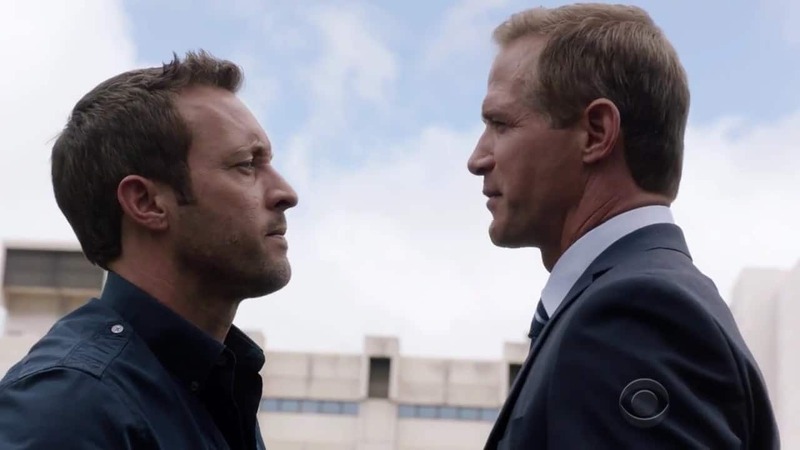 ma Nowemapa” – Five-0 investigates one of history’s most notorious unsolved mysteries following the murder of a conspiracy theorist who questioned why JFK’s cabinet was on Oahu just before his assassination, on HAWAII FIVE-0, Friday, Nov. 18 (9:00-10:00 PM, ET/PT), on the CBS Television Network. Also here are some of the Press Release photos from Spoiler TV. Looks like there will be some nostalgia as well as some favorite characters such as Max.